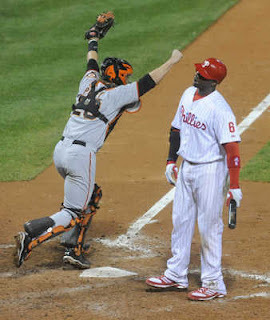 It's the Phillies Talk Podcast, for the 'So Close to Spring' show recorded on January 27th, 2012. Talking about some of the latest Phillies news, player profiles and more. 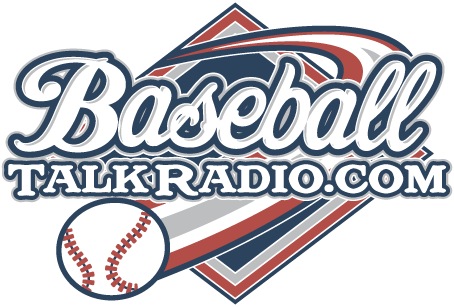 Follow the show from BasballPodcasts.net, the site for interesting baseball talk, find us on iTunes, Android Podcasts, Stitcher Radio, and TuneIn.com. Download the shows to your mp3 player, iPod, iPad, or Smartphone to listen to the show on the road. The Phillies have spent a ton of money on salaries in the past few seasons, as they have signed top named pitchers, and rewarded long time players with long term deals such as Ryan Howard and Chase Utley, and now Jimmy Rollins. Howard got the lion's share with the $125M extension that was signed in April of 2010 on a West coast road trip. This last year it has been Cole Hamels to receive the biggest contract of his career $144M which is the second highest of any pitcher ever, besides the Yankees contract with CC Sabathia who signed in 2008 for $161M, 7 year deal which is now heading toward the back side of that deal. All the euphoria of the World Series win of 2008 is about gone though, as the Phillies now start to realize that this win was an incredible 5 seasons ago counting the 2013 season. The thoughts of a repeat have changed to thoughts of whether the Phillies can just compete. With all of this, the salary spending spree appears to be over, and that was spoken very loudly with Ruben Amaro's off season moves this year. No more blockbuster announcements and jaw dropping acquisitions from the Phils this off season and maybe for more years to come. The Phils no doubt made salary moves with Shane Victorino, Hunter Pence, and Joe Blanton. Those moves alone saved the Phils close to $30M. Shedding Placido Polanco also put more salary to the cutting board, as the Phillies realize that to save money as a ballclub, they have to cut the biggest middle level salaries. To just dismiss players like John Mayberry Jr. and Domonic Brown may have been well warranted but these players aren't eating up a large part of the salary pie, and that has saved their careers so far in Philadelphia going into 2013. Yes, the Phillies still have a big payroll starting off the 2013 season, if things don't improve with this team, we could see that drastically reduced by the All Star break in 2013 as well. The fans won't want to come to a stadium to see a team like this disintegrate. They will still be buying tickets, but like all great teams with fans that support them through the great times, you can rest assured that they will thin out very fast with losing seasons. So let's look at what the Phillies have spent last year, and according to David Murphy of the Philadelphia Daily News, the Phils should come in under $160 this year in this article, which is still very high but heading downward. He finished up in second place for Rookie of The Year in 2007, that in itself tells you something about how he plays baseball. He clubbed 46 doubles in 2010 for the Twins, and Delmon Young seemed like he was on his way to a great baseball career. The Phillies just picked up Delmon Young yesterday for a bargain $750K, (he also can earn $2.5M in incentives) which is a bargain considering his potential. The Twins traded him to the Detroit Tigers in 2011, and young was part of the World Series team that almost won a ring, just so happened that the San Francisco Giants put an end to that dream by coming out and playing flawlessly to steal that dream from the Tigers. How did the Phillies get Young for such a bargain? Delmon hit 18 HR and had 74 RBI last year, which is not really a big disappointment. Yes, he struck out 112 times, which he needs to work on this year, but all in all this may be the biggest bargain that the Phillies have picked up this offseason. The truth of the matter may not lie in Young's potential as a baseball player, but more so an isolated incident that should be taken more like a grain of salt, than the mountain that some people are trying to make out of it. I just learned about what happened to draw such negative attention to Young. 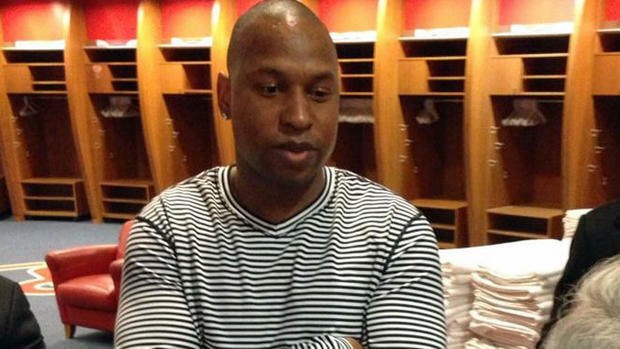 It was an incident in New York City that Delmon was involved with outside the team hotel. He was coming back to the hotel and watched as some tourists donated money to a homeless man just outside the gleaming 4-star hotel where the Tigers were staying. Young yelled an anti-Semetic slur at them as he passed them all by. None of them were Jewish but an altercation ensued and Young was charged with aggravated harassment and plead guilty to it in court. Drinking was a factor in this, and nobody's perfect why Young went to the comments he did is an event that only he knows. He says he's cleaned up his act, and that's good enough for this writer. We tend to want to pigeon hole anyone who does something wrong, and after they have done their service for it, it should be a clean slate and a moot point. Let's get over it, and move on. Young will bring experience and a great potential to this team. If he plays like the Delmon Young of 2010, we have a winner. Young could be in the driver's seat for another contract with the Phillies or some other team. He's going to be out to have a career year this year, it's his own livelihood that depends on it. A lot of people have many diverse opinions about the Phillies superstar Ryan Howard. In the early part of his career, Howard played like a man on a mission. He was smacking the ball out of the park faster than any other baseball player to play the game. In fact, he holds the record as the player to reach the 100 and 200 home runs mark, the fastest in history. These records came in 2007 and 2009 respectively, when Howard was ripping the cover off of the ball religiously. Since the 2009 season though, Howard hasn't been the same player. Yes, injuries did catch up to him a bit, but he has made a remarkable turn from player on the rise to player on the demise. How could such a thing happen to such a great player? The record he garnered from the 2009 World Series is a dubious one, he now holds the record for the most strikeouts in a World Series by a player with 13. He's also picked up the Phillies record for most strikeouts in a season, which came in 2008 at 199. Ryan Howard is one of the best paid players in the game, the Phillies extended his contract in 2010 for $125M dollars that runs through 2017 when Howard with be 37. He's already been collecting a huge sum making $65M in the last 4 seasons alone. When he signed the contract extension in 2010, Ryan Howard joked that, "Hopefully there is no riots taking place back in Philly." The contract extension was done on the road by the Phillies, announced when they were on a West Coast trip, rather than at home when the team returned to Philadelphia. Usually when great news like this for a Phils player happens, it would be announced in the friendly confines on the player's home turf. No, there were no riots, but there was whispering and innuendo. Was Ryan Howard worth all of this money?, and would he continue to produce at the pace that he was going at. The fans haven't totally given up on him, but this too can change especially with the kind of money that he is getting to play baseball. There has been a steady decline across the board in every category, again the numbers are skewed due to injury, but if you follow the Phillies, you know that Howard just doesn't have that same magic that he carried just a few years ago. This 2013 is a pivotal year for Howard, he's just moving into a stage in his career that could be either the best or a continuation of this decline we've seen in his numbers over the past couple seasons. It's time for Howard to show the MLB and the Phillies fans some of that magic this year, they need his offense and he's got to take the reigns of the team and make some better things happen in 2013 for the team and his own career. 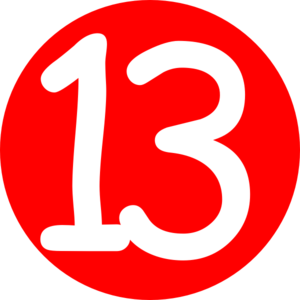 It's the first podcast of 2013, and we can't wait for next month as it's only about 30 days until the start of Spring Training 2013. We're talking about what the season may bring for our favorite team. The Baseball Hall of Fame vote was one that made history, a lot of great players but no one is elected? What is going on with that? We'll talk about it. 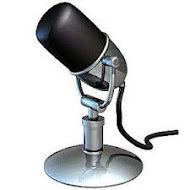 Phillies Talk Podcast is also starting up it's 7th year of talking about Phillies baseball. Who would have thought we would still be doing this, you would have thought by now, we'd be on the radio.. but we're still here on the place where our passion is shared with the listeners. Thanks for staying with us if you're a long time listener, or welcome aboard if you're just finding out about the show. The Phillies Spring Training season for 2013 is around the corner, pitchers and catchers report on February 12th and the first full squad workout is on the 15th of February as the Phillies try to regrow the momentum that they carried before the disastrous 2012 campaign. The injuries of 2012 are behind this team, and the guys who were injured are now either fully healed or playing elsewhere this upcoming season. Let's take a look at the roster from April 5th 2012, the Opening Day of the 2012 season vs. the Pittsburgh Pirates, and see how the team will look this year much different. As we see in the chart above, the Phillies opened the season with a cloud around most of the team. Here's how the team looked offensively through the All-Star Break in 2012 which is known as the '1st Half' and then the rest of the season in the '2nd Half'. The Phillies had a lot of hits in the first half of 2012, but a lot of those hits didn't produce a lot of runs in relation to the number of hits they got in the 2nd half of the season and the runs that were produced from those hits. Obviously, the 3-1 count is the bread and butter of the team last year, but I was surprised to see that the Phillies hit 27 home runs on the first pitch last year. If the Phils can do better this year, they will try much harder to get a hit when the count is 1-2, which they only managed to hit .146 last year. The next and final chart of this post is an interesting one, it's Runs Created. A player who had a big impact on the team by creating runs with the hits that they got. The chart may surprise you to see who was on top in that category. Thanks also to Baseball-Reference for the data. 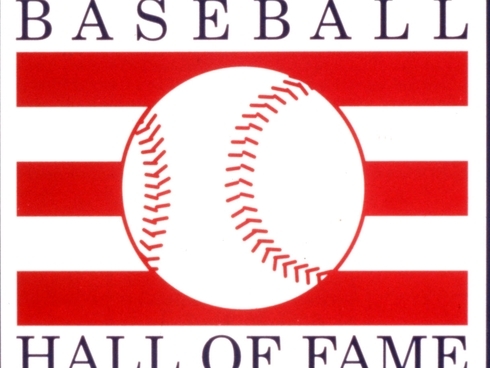 One of the toughest years to vote if you are a member of the Baseball Writers Association of America has to be this year in reference to the ballot of players that are eligible for the Baseball Hall of Fame. Each year the writers elect a player or players to the Hall based on the career of a certain player. This year happens to be the first year that so many of the players that were implicated in the steroids era have appeared on the ballot. If you read the list of players, you would assume that they would sail right into the Hall of Fame based on the numbers that they put up in their careers. Not so simple though, with the allegations that a lot of those numbers have been earned by players that were reinforced with 'super human' strength often at their own peril for the substances that they used to get there. The vote though must go on, and on Wednesday of this week we will learn just who is 'elected' to the Hall and have their names forever enshrined into the lore of baseball greatness. Players must get a 75 percent margin to get into the Hall of Fame, and there are a number of 1st year eligible players on the ballot this year. Some of the names you'll remember right away, with the home run races that they excited fans with only a few short years ago, when even baseball had to know that something was happening on the field and in the clubhouses that fueled this but they chose to turn the other cheek and let players allegations finally surface to shed light on the problem with steroids in baseball. Who will it be? Will the baseball writers turn their cheek on the scandal and ignore it as the very game of baseball did when it was happening? Is it the baseball writers that will have to play the referee in such matters now that no policy exists for these players that have now been out of baseball for at least 5 years and virtually nothing has been done further by the Major League Baseball to govern what happens to these players? Time will tell, and on Wednesday we'll all find out.